Born in 1920 Eden Douglass has deep roots in a contentious California family. Her childhood is dominated by three women who compete for her loyalty, and her love. Her deluded mother, Kitty, is happiest in the Dream Theatre watching silent pictures and sipping from a bottle of Bowers’ bootleg Tonic. Her Aunt Afton, a devout Mormon, presses upon young Eden the values of the church, and the pleasant predictability of a genuinely loving family. Ruth Douglass, Eden’s steely grandmother, wants to offer the girl opportunities she had denied to her daughters. The Douglass women were known to borrow trouble and time and money. Eden will need all three as her adventurous spirit takes her far from home. American Cookery is a broad canvas novel of the West where people came to remake themselves, and the burdens of the past withered in the dry winds. From the early days of railroad towns, through London in the Blitz and war torn France, to the post war boom years, the uprooted carry not just their few belongings, but vast stores of memory, recollection of taste, texture, recognizable to the palate as well as the heart and mind. 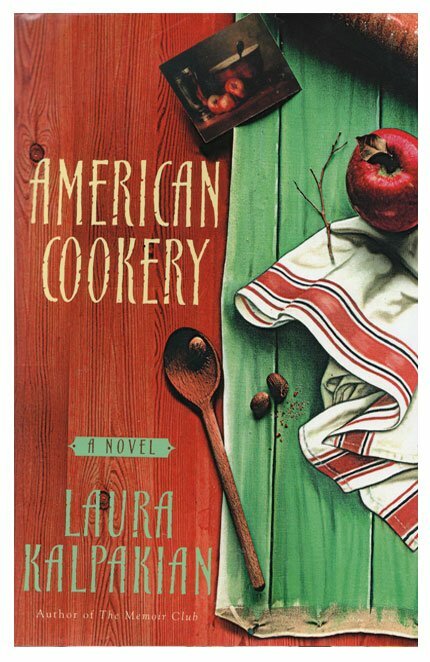 Animated as a family reunion, intimate as a lover’s picnic, American Cookery is a novel to savor and share.